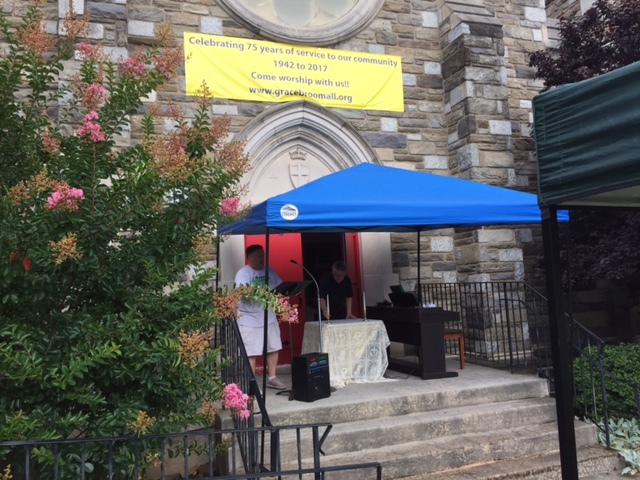 On Sunday, July 23rd Grace Lutheran Church as part of our 75th year celebration had our worship service in front of the church on the lawn on West Chester Pike. We are proudly celebrating 75 years of Hearing God’s Word, Living God’s Word; Sharing God’s Word. John Kampmeyer setting up prior to service time. 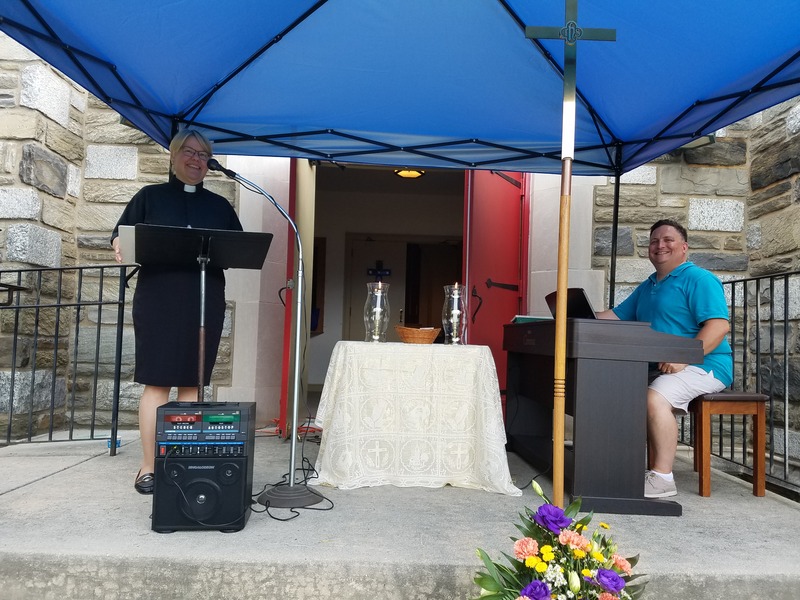 Pastor Leslie Richard and John Kampmeyer during the service. 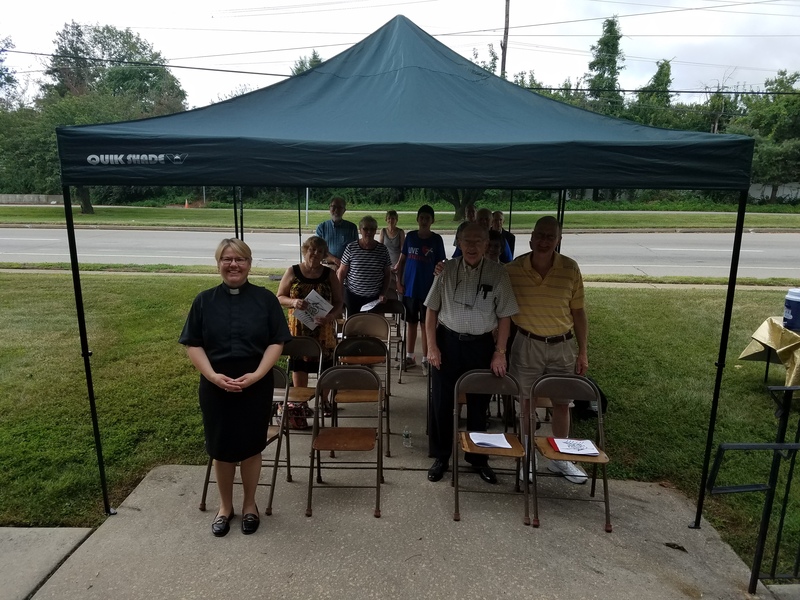 Pastor Richard and members of the congregation during the service.